What are 1/1 and 1/3 Octave Bands and why are they used? Home > Safety & Environmental Help and Guidance > What are Octave Bands and why are they used? What are Octave Bands and why are they used? Octave Bands – What are they and why are they used? 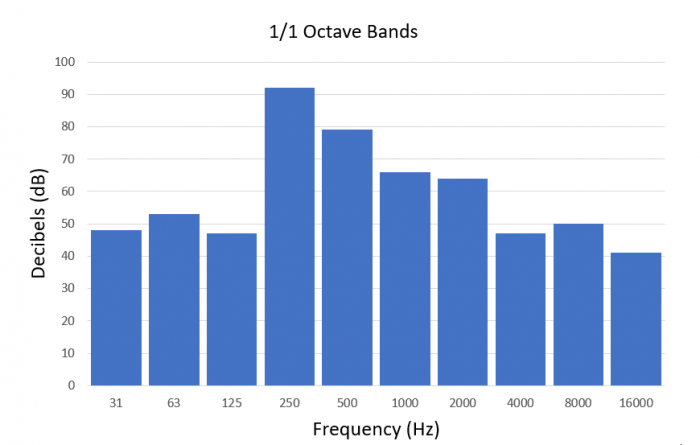 Octave Bands offer a filtering method of splitting the audible spectrum into smaller segments called octaves, allowing you to identify different noise levels across individual frequencies. “A”, “C” and “Z” frequency weighted noise measurements offer conventional ways to measure sound, and we use each of these frequency weightings for different types of measurements. In short, your sound meter responds different to it’s input signal (the noise) in order to provide us with data in relation to the application measuring for. E.g, “A” weighted noise measurements are used whenever humans are involved, as the sound meter will respond in a similar way to a human ear. Using these frequency weightings alone provide a good basis to analyse your data, but to analyse different sound sources can be difficult without Octave Bands. 1/1 Octave Band measurements are used when the frequency composition of a sound field is needed to be determined. Octave analysis is often used in noise control, hearing protection and sometimes in environmental noise issues. The common octave frequency bands are: — 31Hz, 63Hz, 125Hz, 250Hz, 500Hz, 1kHz, 2kHz, 4kHz, 8kHz and 16kHz – and their composition is made up of the Lower Band Limit, Centre Frequency and Upper Band Limit. The graph in Fig. 1 below shows an example of a typical octave band spectrum, where the level at 250Hz is greatest. Fig. 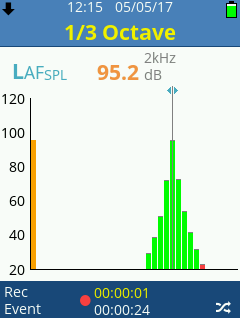 2 displays a screengrab from the dBAir Sound Level Meter in 1/1 Octave view and in this case you can see the 2 kHz is showing the highest level. Having this determination can be valuable when you’re trying to reduce noise levels. Mainly used in environmental and noise control applications, 1/3 Octave Bands provide a further in-depth outlook on noise levels across the frequency composition. Each 1/1 (single) Octave is further split into three, providing a more detailed view of noise content. Fig. 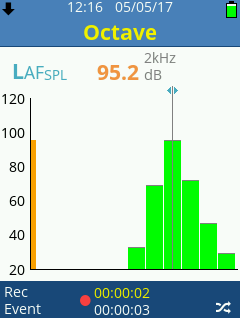 3 displays a screengrab from the dBAir Sound Level Meter in 1/3 Octave view taking the same readings as in Fig. 2. As you can see, each 1/1 Octave is broken down into three. 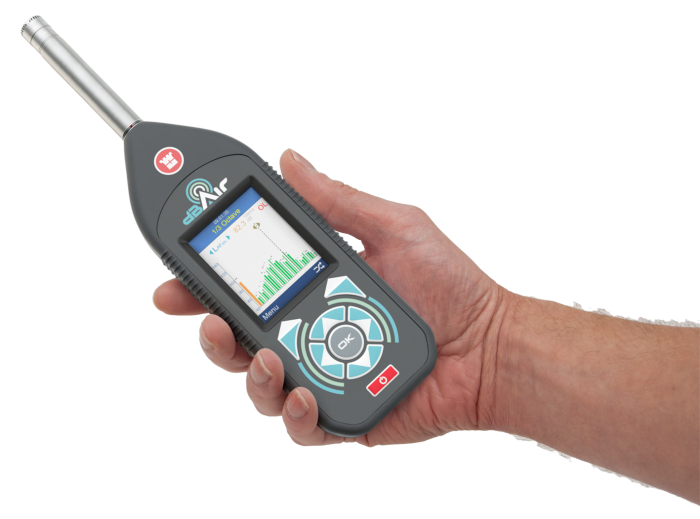 Although Octave Bands are only required for a selection of noise monitoring applications, many of the compliant Sound Level Meters on the market today will offer an option of Octave Band analysis. Octave Band Hearing Protection Assessments – Many Sound Meters today include software which calculates your hearing protection assessments for you, and the Castle dBAir includes a vast database of hearing protection to help you select suitable equipment – straight from the meter.